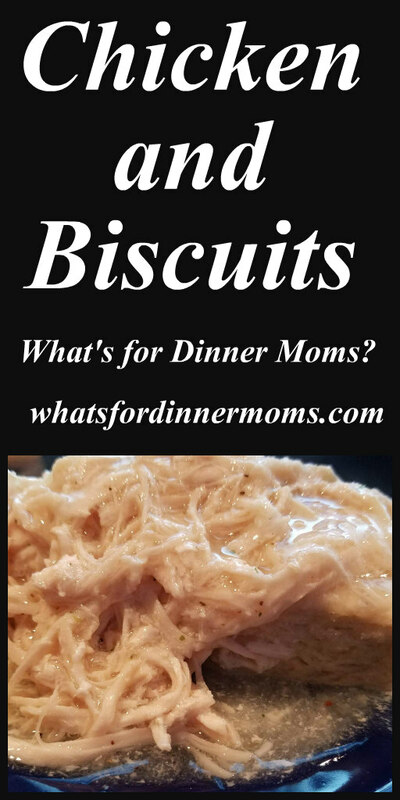 Chicken and Biscuits – What's for Dinner Moms? Still waiting for this cold snap to end? We are. Hopefully by the end of February. Well, we live in the Midwest it is the way it supposed to be in the winter. I just miss taking our vacation to somewhere warm during winter break because the school schedule no longer has a winter break. In fact there is no break from Martin Luther King Jr. Day until the end of March. That is too long. I loved even a short mid-February break to get away. So, I make do with warming comfort food. My daughter made dinner last night and even said to me how much she loved Slow Cooker meals because they are simple to make and you can do so many different things with them. Smart girl! The gravy didn’t quite thicken up enough in this dish but that could have been helped by a simple addition of more cornstarch and cold water to the dish with a bit of extra seasoning but my daughter was hungry and didn’t feel like waiting the extra 20 minutes to do that. She decided it was fine as it was (which it was) and served dinner anyway. That is the great thing about cooking you can decide what works for you. My son probably would have waited to make it “right” while she was like the meat is cooked and it tastes fine even if the gravy isn’t really thickened. Play with your cooking and make it the way YOU like it. Add more spices, add more texture, add more…. It is all up to you! A comforting stick to your ribs dinner. Place chicken breasts, seasoning, and chicken stock in slow cooker on low for 6-7 hours until cooked through. Shred chicken when completely cooked through. When you are ready to make the biscuits (or the night before) preheat oven to 425 degrees. Spray a pan with non-stick spray or grease with butter. Can be cake tin, pie plate, whatever you prefer. Mix flour, salt, sugar, and baking powder in a bowl until well combined. Add COLD grated butter to the bowl. Cut the butter into the flour mix with a pastry cutter or fork. Try not to use your hands because you want the ingredients to stay cold. The mixture will look like pieces of large sand when fully combined. You want little chunks of butter. Stir COLD milk into the mixture (add a dash or two of milk if needed). Once dough has turned into a ball place it on a well floured surface to knead and roll. Knead the dough together about 4-6 times so that it is no longer sticky. Roll with a well floured rolling-pin to 1/2″ to 2/3″ thickness. Cut in circles using a glass or cookie cutter. Place in baking pan. Biscuits can touch in pan. Re-roll any scraps to make another few biscuits but be careful not to overwork the dough. Bake 15-20 minutes until golden brown on top. While biscuits are baking or when you are 1/2 hour or so from serving mix the cornstarch and cold water until cornstarch melts. Turn slow cooker to high and whisk into the chicken. Cover and allow to cook for 15-20 minutes. Stir mixture several times. If it is not thick enough add another teaspoon cornstarch and cold water letting it rest 10 minutes in between each addition until desired thickness occurs. Taste gravy and add additional salt and black pepper as needed. You will need additional salt and pepper to balance out the cornstarch flavor if you make it too thick add a bit of chicken stock to thin. Serve chicken over warmed biscuits. You too! Another snow day here! Yes, it stopped snowing here about 45 minutes ago! I heard about the big cold in the mid-west. I hope it is over soon! Good food truly helps. Keeps the house warm with the oven and stove top on and keeps us busy! I bet!! And the smell feels warming too, I think! Oh yes, so ready fro the cold weather to end. We are due snow and ice overnight, so the forecast is looking gloomy. 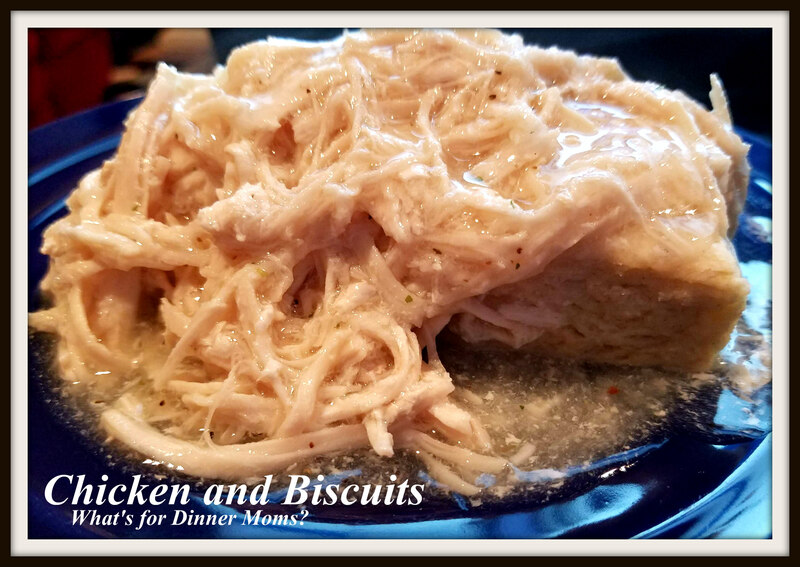 ‘Love biscuits and chicken in gravy. They are a true Southern staple.